Last week we headed to London for the Nestlé Cereal #BreakfastSurvival blogger event. It was an early start but the children love train journeys so they were really excited. We arrived in to Euston and headed straight there to be greeted by the lovely Nestlé peeps. 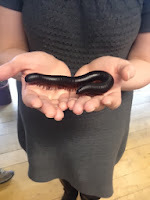 Nestlé had a whole host of creepy crawlies for us to meet courtesy of The Wiggly Wild Show. To be honest, I'm a bit of a scaredy cat and I hate anything with more than 4 legs, so when I was offered the chance to hold a millipede it made my hairs stand on end! 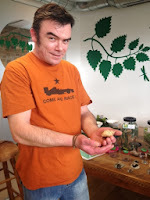 Not one to freak out, I decided to be brave and managed to hold him and eventually a hermit crab too! 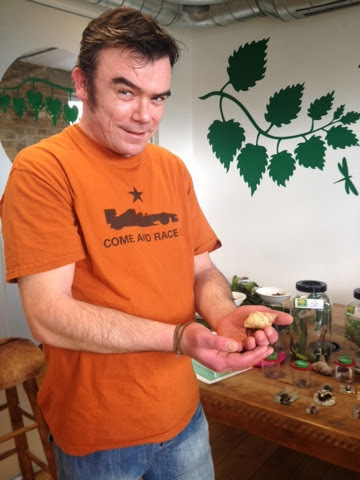 Chris got involved as well - only he went one better and was brave enough to hold the cockroach, the hermit crab AND eat some bugs!!! 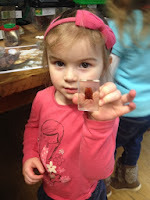 It was great fun, although Mister A and Little E decided against holding any of the 'live' creepy crawlies, instead they settled for dead ones in glass. There was also a lovely lady called Annie who was face painting. 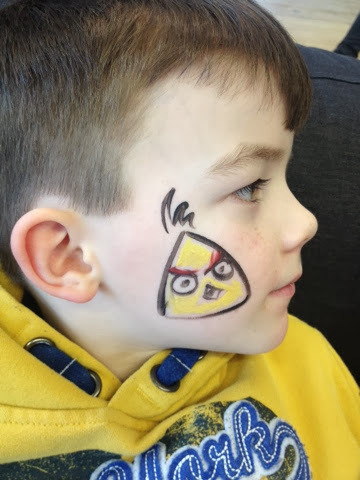 Little E chose a lovely butterfly design where as Mister A went for an Angry Bird which Annie kindly copied from his trainers! Finally we headed in to the cereal room where we got to try some of Nestlé's cereals. 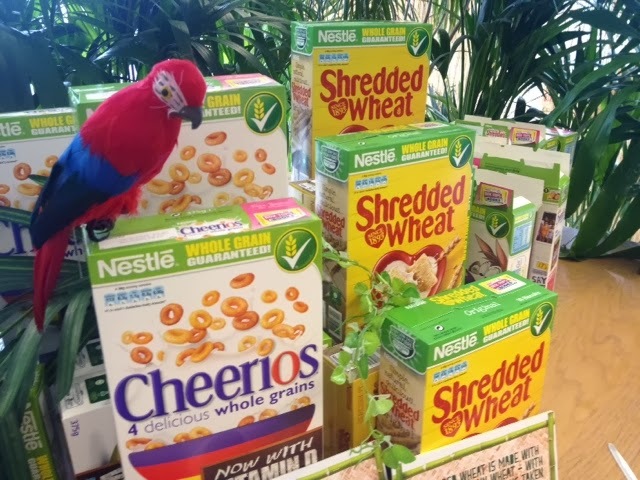 With over two dozen different Nestlé Cereals to choose from there was something for all of us. Each cereal is made with whole grain and is a great source of at least seven vitamins and minerals, what’s more, each serving of Nestlé Cereals only costs 26p per bowl and that’s including the price of the milk! Ok, so what's it all about? 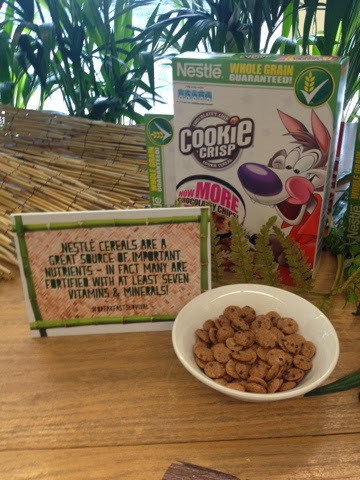 The event was launch Nestlé's new #BreakfastSurvival campaign. 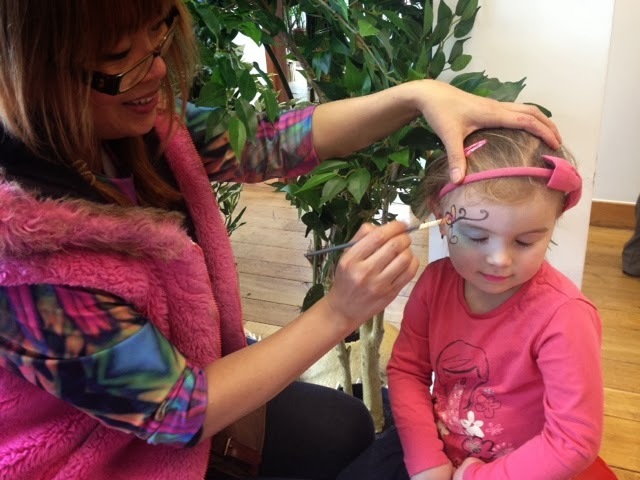 We heard about Nestlé's recent research in to school day mornings which confirmed that almost two thirds of parents (61%) juggle more than 10 tasks in the morning pre-school rush hour - with less than 6 minutes to complete each one! This gave way to the fact that us parents are always on the look out for nutritious speedy breakfasts for the whole family. With so much to juggle, it can be hard for us to make sure our children are getting the best start to the day. There are so many cereals out there and I do find it tough to make food choices that are nutritional but tasty and affordable. I quizzed Juliette on the importance of calcium and iron and she answered so many questions that I had always wondered about. All in all it was a fabulous day out, the children loved it and we learned a lot too. Thank you Nestlé!